Still down to do this but just a heads up! Possibly interesting backstory - the idea for a kinetic sculpture derby in Ithaca originally came up as it’s own event sponsored by the Community Arts Partnership and IG. It ended up folding into the IthacaFest because there just were not enough weekends in the summer to schedule everything and because that event already had permits etc. I would think that if for some reason IthacaFest failed to raise the needed funds (I am pretty sure they will succeed) there could still be a kinetic sculpture parade. If it went from stewart park to cass park on the bike path (for example) it might not even need any special permits or street closures, and the public boat ramps could even support a water element! I share Elliot’s optimism about Ithaca Festival succeeding, but it is something to follow. Other possible venues are Streets Alive! in May and September. Kinetic Sculpture Kick-Off Gathering – Monday, Dec 17th at 7 PM – IG Front Room: Based on the Doodle, it looks like 7-9 PM on Monday is the one time soon when we can get together. Let’s plan on meeting then, and then look for additional times starting in January when we can meet again. Everyone is welcome to join. Hey guys! I was looking forward to coming to the meeting but unfortunately I will be unable to make it. I have some welding skill to offer, always happy to learn more skills though! Hope the meeting goes well, happy planning. Thanks for a great discussion last night. Between our current projects and a couple completed works by other community members, we’ll have enough sculptures to join the parade in June. We’re planning to have our next gathering in early January. Until then think about what you might want to build, draw up some sketches or find some photos for inspiration. Don’t worry about the how at this point, just imagine the end result. We can assist with the how. Let’s meet on Wednesday, Jan 16th from 7-8:30 PM in the front room. We’ll discuss ideas for projects, and provide ideas, feedback, and assistance. See you then! Great news! Ithaca Festival is fully funded. Applications to participate in the parade are supposed to open today, but there’s no link on their web site yet. I’ll check back later and reach out to the organizers if I don’t see anything later on. I’m here wed 1/16 at 7 but no one else is here. I’m really sorry to have missed tonight. I fully intended to make it. I’ve been fighting a cold, and sat down on the couch after work and woke up three hours later. It sounds like you worked on plans for a bicycle-riding steampunk Iggy the Robot. Awesome!!! Yes Erica and I met. She created a cardboard model of the puppet’s leg mechanism. I showed her the triple tandem which is currently disassembled and fits in two suitcases currently in the boxy bike space. We plan to assemble it within the next couple weeks or so. It’s great to hear the Iggy project is moving forward. Thanks for jumping in to make it a reality. "Full STEAM Ahead”; a celebration of Ithaca’s rich diversity of arts and sciences. Our little project should fit perfectly! I’ll see some of you at IG tonight if you’re attending the weekly member meetup at 7pm. I’ll bring the front-end of the race car so we can see how it works in the parking lot. I’ve put up a Doodle poll for a few possible meetup times next week. Feel free to bring paper and pencils or stuff to work on. 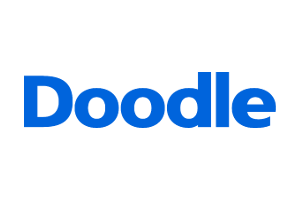 Doodle radically simplifies the process of scheduling events, meetings, appointments, etc. Herding cats gets 2x faster with Doodle. For free! Let’s get together Wednesday evening from 6:15 to 8:00 for a work session. We can use the time to help each other on projects and ideas. Let’s cancel tonight’s kinetic sculpture meetup due to weather. I’ll put up a Doodle poll for some future times soon. I’ve put up a new Doodle poll with a couple possible times to meet. Feel free to organize something sooner if you;d like, but I’ll be out of town next week. It looks like there are Board meetings scheduled for both of these nights, so I suggested we meet at 6 PM. Let me know if this is too early or bad nights. I’m looking forward to kicking out sculpture projects into high gear! BIG NEWS: IG has been accepted as a participant in the Ithaca Festival Parade!!! It looks like a few of us can get together at 6 PM on Wednesday, March 20th. See you then!